After an acting career that’s seen 50 Cent explore all the most dramatic, grimacing faces of the human condition—cancer, blindness, starring in a straight-to-DVD cop drama with Robert De Niro—he’ll return to where it all started (besides just rapping and leaving it at that) by once again playing himself in a movie. However, unlike the roman à clef Get Rich Or Die Tryin’, this movie will feature both the real Curtis Jackson and intentional comedy. He’s joined the cast of Paul Feig’s Spy, the previously reported film that finds Melissa McCarthy playing a CIA analyst, whose brusque demeanor we will just assume is humorously unsuited to intelligence work. It’s unknown as yet why the film, which concerns McCarthy interacting with a pair of spies played by Jude Law and Jason Statham, has any need for 50 Cent to be involved. 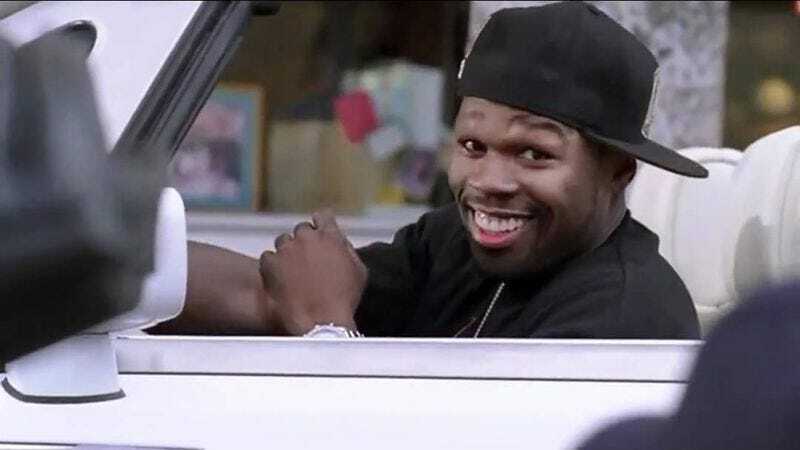 But obviously—as seen in everything from young-adult literature to boxing to enhanced waters to comedy websites to condoms— that’s never stopped 50 Cent before.